iCollector.com is presenting the KAI Ocean Art Auction from renowned artist Patrick Ching. This unique and progressive event is ongoing beginning October 19th, and bidding ends November 2nd, 2016 at 6PM Hawaii Time. What makes this auction the most unique of offerings, is the artist is creating the paintings while the auction is taking place. This is a timed auction, with bids being accepted 24/7 online, while Mr. Ching is creating his exceptional works of art. Bidders should bid early and bid often. The First Bidders of Each Original Painting Receive a $675 Patrick Ching Canvas Gicle’e of their choice and a $100 Gift Certificate at Martin and MacArthur. Each Up-Bid will Receive a $97 gicle’e for Free. Bidders can register with an email address, or a Facebook or Google plus account. Kauai artist Patrick Ching has developed an unusually progressive art show concept with great success throughout Hawaii. Born and raised in Hawaii, Patrick Ching has spent a lifetime painting Hawaii’s natural beauty and teaching others to do so as well. He now travels internationally doing art shows, painting workshops, and hosts a family art and nature TV show called “Patrick Ching’s Painting in Paradise” on OC16. The first Kai show has held at Princeville Center in 2013. Ching was there for a whole month to paint ten paintings while people watched and bid on the pieces. Many people actually got to paint on Ching’s originals and others watched on live streaming video as he worked on them. 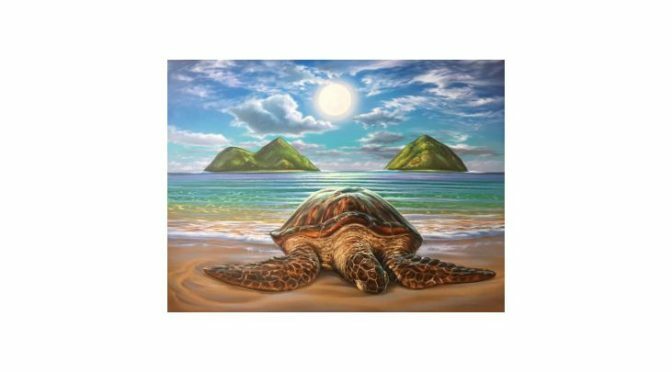 All the paintings were sold and the show raised money for its beneficiary, the Kilauea point Natural History Association. Since then the “KAI” Show has been held annually at the Princeville Center and the Moana Surfrider Resort in Waikiki, Oahu. Patrick Ching was a wildlife ranger at the Kilauea Point National Wildlife Refuge on Kauai in the eighties and nineties. He also worked for extended periods on remote islands in Hawaii protecting sea turtles and monk seals. He is the author of several books and teaches art internationally. This exciting and passionate celebration of art is one of the most unique auctions anywhere in the country. 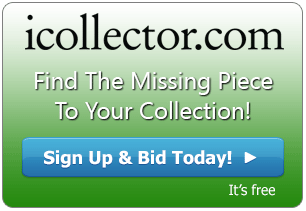 iCollector.com is proud to partner with Patrick Ching and providing simple to use bidding technology for the auction. Bids are being accepted right up until 6PM Hawaii time Wednesday November 2nd, 2016. Anyone can join and bid by visiting the iCollector.com homepage and search for the KAI Ocean Art. Registration and bidding is simple and quick; and bidders can compete with one another up until the closing date.